Characteristics: It is a safety clothes to keep motorcycle riders from crashing. 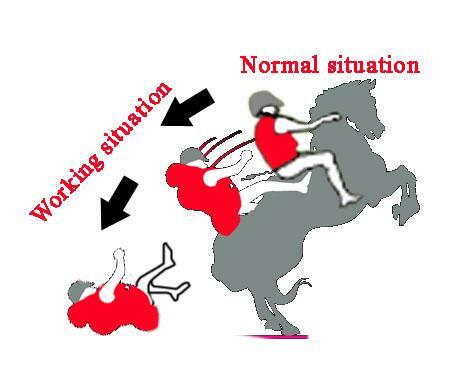 When crash occurs, it can be inflated to be an air chamber around the rider’s back and chest so as to protect the main body parts and the safety of the rider. Use instruction: Put on the clothes and fasten the buckle with motorcycle. 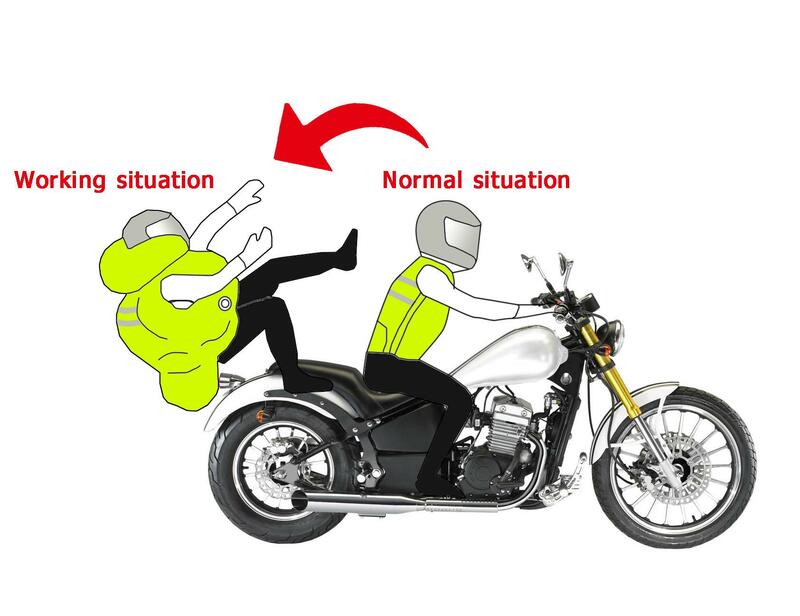 When the rider is thrown off from motorcycle, the connecting line pulls the automatic inflation device and the connecting line release from motorcycle. At the same time the clothes is inflated. The air chamber will protect the rider’s main body parts to keep his safety.